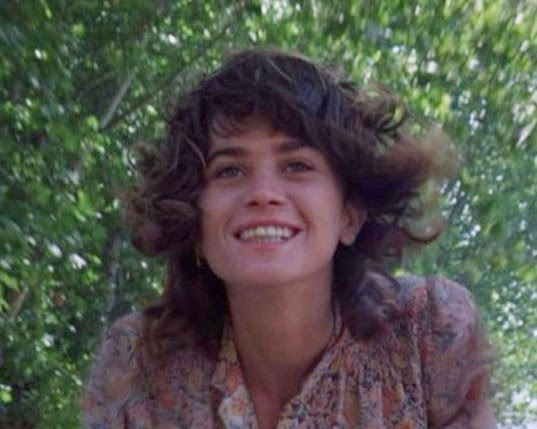 Beginning Monday August 21, Metrograph will present a 6 film retrospective of Michelangelo Antonioni, all in 35mm. Take it or leave it, modern cinema can be divided into BA and AA: Before Antonioni and After Antonioni. While Antonioni had been developing his shockingly new architectonic screen grammar for over a decade, it was 1960’s L’Avventura which was his watershed moment, a beautiful and terrible vision of creeping anhedonia amidst glossy prosperity in contemporary Italy, a world in which the human form now found itself dwarfed, menaced, and rendered irrelevant by an environment invested with a sense of ambient threat. His name would later be slapped on any stereotyped depiction of urban ennui, but his rigor, sui generis brilliance, and austere beauty are impossible to reproduce. When Anna (Lea Massari) disappears while on a yachting holiday in the Aeolian Islands, her lover (Gabriele Ferzetti) and her friend (Monica Vitti) set out to solve the enigma of her disappearance, only to lose the thread of the mystery as they embark on an affair of their own. 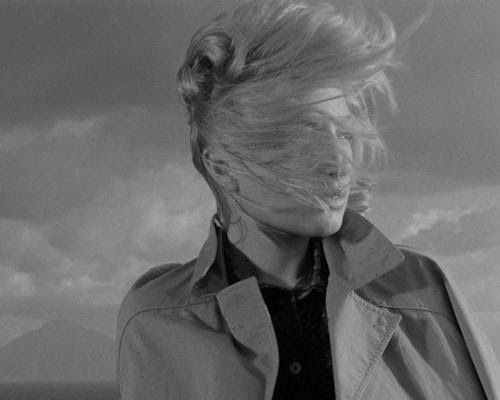 The succès de scandale of Cannes 1960, Antonioni’s breakthrough introduced a new sense of drift to cinema, both in the meandering of the disjunctive plot and the wandering of the widescreen frame, unmoored from human concerns. A quiet revolution. Perhaps the first of Antonioni’s films to give a clear indication of the direction of his mature style, this adaptation of Cesar Pavese’s Among Women Only finds glamourous Elonora Rossi Drago returning to her hometown of Turin to open a branch of a fashion boutique, in the process taking up with the miserable, sniping local smart set and beginning an affair with architect’s assistant Franco Fabrizi. The air of bourgeois discontentment is thick, while the disquieting train station finale is the first of Antonioni’s great set pieces. Restored by Cineteca di Bologna at L’Immagine Ritrovata with funding provided by Gucci and The Film Foundation. One of the first American movies to look the AIDS crisis dead-on, Sherwood’s bittersweet comedy-drama features a young Steve Buscemi in the star-making role of manic rock ‘n’ roller Nick, ex-lover of Richard Ganoung’s Michael, who is simultaneously coping with Nick’s illness and the imminent overseas departure of current boyfriend John Bolger. Setting his scene during one bustling 24-hour period which ends with a Fire Island foray, the sadly short-lived Sherwood faces tragedy with humane humor, creating one of the quintessential queer films of the Reagan debacle. Jack Nicholson, smack in the middle of one of the best runs any actor has ever had, plays a TV journalist in war-torn Africa who adopts the identity of a dead man and sets off on a new life, avoiding those who seek both him and his alter-ego as he begins an affair with student Maria Schneider in Barcelona. One brilliantly-original architect salutes another as Antonioni turns his camera on the city of Antoni Gaudí, and when lowering his capstone, the maestro has never devised so strange and beguiling a conclusion. Antonioni had never made a color film before embarking on Red Desert, and nobody had made a color film quite like what he came up with. Ending the trilogy that began with L’Avventura Antonioni painted a picture of contemporary sci-fi dystopia with a palette of eye-searing chemical spills, the terrible, beautiful industrial hellscape which persecutes Monica Vitti’s neurasthenic housewife, who takes up with her factory owner husband’s associate, played by Richard Harris. A hypnotic vision of environmental and spiritual catastrophe, inextricably combined. Widely jeered on its release as Antonioni’s uncomprehending attempt to take on American youth culture, Zabriskie Point has justly gained in stature with each passing year as both a defining treatment of counterculture-discontent and an epic expression of the filmmaker’s master builder cinema on MGM’s dime, a visionary work exhibiting a tangled repulsion/fascination with consumerism that ends with an unforgettable bang. Featuring the music of Jerry Garcia, Jeff Fahey, and Pink Floyd.